Has your trampoline suffered a bit of wear and tear, but you don’t want to invest in a whole new one? 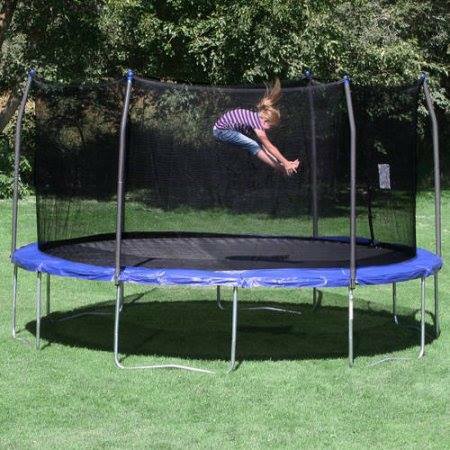 Luckily, Topline Trampolines offers the replacement trampoline parts you need to keep on jumping! With both round and rectangular nets available, we’ve got you covered when it comes to both regular and Olympic trampolines. We offer replacement nets that are safe, functional and inexpensive, so you can keep the pennies in your pocket – especially at this costly time of year! Not only do spring pads offer some protection from injury, but they also give the trampoline a pop of colour – which only adds to the fun! Round spring mats are available in both light and heavy-duty material, to ensure you’ve got the right coverage for your trampoline. And for rectangular trampolines, we offer Aussie-made Marine Carpet as well as PVC Heavy Made pads. With pads available in grass green and sky blue, your trampoline is sure to make a colourful canvas of your backyard. Isn’t it a pain when your trampoline has a few springs that have lost that brand-new bounce? Well now your trampoline will be as good as new will our replacement springs – that come in packs of TEN no less! This should keep a spring in your step, even in Summer!